If you’ve thought that before (or even right now), I get it. Oh BOY does it ever! The thing is, since so few people actually know how to apply a branding strategy to an acting career, you may not have ever encountered someone who can show you how powerful it is to find your brand and what it can do to breathe new life into a ho-hum acting career. In fact, it’s my pleasure to let you use my 20 years of experience in A-list Casting and my experience as a highly sought-after Branding & Marketing Consultant to help you have a more successful acting career. Your passion is acting. Mine is helping actors. We make quite a pair! But before I show you how you can do that (and I will), let’s start with where you are right now. I always like to start with questions because they always lead you to the next natural step, if you are willing to answer honestly to yourself…which I’m betting you are. Do you feel like you’re submitting and submitting (or your agent is) and you’re not getting enough (or any) response from all those submissions? Did you ever get the feedback “I don’t know what to do with you”? Or have you ever wondered what part of your range as an actor you should highlight when it comes to your headshots, online profiles, websites, etc? And you worry about getting typecast? Are you feeling that your career isn’t on a laser-focused track, moving effortlessly toward your goal to work more. And you want so badly to get more auditions, get more bookings, get more recognition and work consistently? If there was a YES in there somewhere, you’re in the right place. Any one of those issues can be caused by a “branding problem”. What is a branding problem? It’s either a mixed message about your brand, or worse yet, no message at all. What Does “Branding” Have To Do With Acting? The message you send out with your branding can be the difference between working a lot and waiting for the phone to ring. Let’s start with how Casting Directors receive your “message”. Their vision of the role is a compilation of what the Director, Writer, Producers and Studio want, along with their own vision of what the role should be. Casting Directors have that vision in their mind as they look at your submissions. When they see an actor’s submission whose message is a match with their vision, they stop, click and consider that actor further, and will consider calling them in for an audition. If, however, that same actor has the wrong “message” or a non-descript “message”, they will get passed over. Once you discover how to find your brand and laser-target your message, you can use it to your advantage to move your acting career forward in a much more focused way. Ask any Casting Director and they’ll tell you that it’s only getting more and more competitive to get noticed. And if you’re passionate and serious about making your living as a professional working actor (now or someday soon) you want every opportunity for a Casting Director to see your face so you can make an impression and BE MEMORABLE (the right way). As someone who spent nearly 20 years as a Casting Director, including 14 years as Vice President of Casting at HBO, I have been on the receiving end of every possible actor promotion that you can imagine, including thousands and thousands and thousands of submissions, as well as invitations to shows, post cards, tweets, Facebook requests, etc. And I know what works. Combining all that Casting experience with years of experience as a sought-after Branding & Marketing Consultant has given me a unique perspective on how any actor can get the edge in this competitive industry with a simple tweak of your brand. So what is a “castable” actor? A “castable” actor is one whose talent and branding message become the one that is easiest for a Casting Director to imagine in the role. You want it to be easy for them to imagine you in the role they’re casting because they get hundreds, sometimes thousands of submissions for every single role. So, if they don’t already know you, and you want them to, you’ve got to create the path of least resistance for that event to occur. A clear, concise, accurate branding message can make that happen. If they already know you, then it’s even easier to give you the edge over others they already know because once your message is clear, you become even more castable. How do you become ‘castable’ with your branding message? 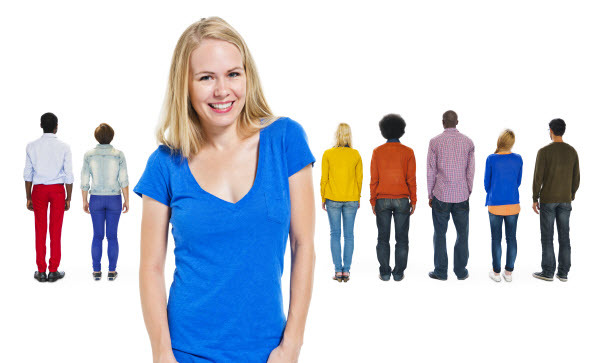 Enter “Branding For Actors: How To Stand Out From The Crowd & Become More Castable” video class. "Attract, Find, Connect" – Discover how to attract find and track your new & exsisting connections so you can develop a longstanding relationship that can grow into more and more opportunities. See how I move them through the process so you can model it in your own branding (so you can avoid the pitfalls and repeat the wins)! You’ll know this is the case if you’ve ever heard about something casting that you knew you were right for but didn’t get a shot at. You couldn’t even get in the room. Then please don’t waste one minute sitting there unbranded with your fingers crossed hoping to magically get discovered just because you’re talented. I Have No Idea How To Do This…Where Do I Start? You’ve found your way to this page. You’re reading all this content about branding. You’ve discovered just how important finding your brand is for the success of your acting career. And you know that the next logical step is enrolling in the “Branding For Actors” video class so I can take you by the hand and show you how to do it. Until now, the only way to access this foundational information on Branding For Actors was to enroll in my whole Social Discover Me class and coaching program. The “Branding For Actors” class is literally the foundation of that entire master class program. And you're getting access to all of it right now for only $127. To make your decision easy, I'm going to remove all risk! I want to guarantee you take advantage of this offer today, and feel good about it. You're protected by my 30-day money-back guarantee. If for any reason at all you're not completely satisfied, email my team and we will give you a complete refund. I don't think you'll need to use it, but you can relax, knowing it’s there just in case..
You're getting this powerful branding training with all the fixins risk free! Q. Can’t I Just Learn This In My Acting Class? A. No. If that were the case, wouldn’t you have done it already? Most acting teachers are trained at teaching you the craft of acting but have no idea how to teach (or even explain) what branding for actors is. Even most Casting Directors can’t put their finger on it. That’s because they’re trained to cast. But because I’ve been trained to cast AND to brand, I know not only what it is, and why you should use it but more importantly, how Casting Directors are going to perceive it and what works. Q. Is This A Live Class? A. Yep…all my trainings have a 30-day, no-questions-asked guarantee. In other words, if you aren’t happy for any reason, just let me know and I’ll give you your money back. I doubt you’ll use it…but you can relax, knowing it’s there just in case. You either love it or you get your money back. It’s as simple as that! Q. Why $127? What's the catch? 1. I’m loyal like a St. Bernard. I’m not kidding. Since you are a LOYAL subscriber to my email list, I respect that and give you my loyalty right back. Therefore, when I do something NEW (such as make a training available that I’ve never released on its own before), you get first crack at it at the best possible price. Period. I don’t know if I’ll ever offer this deal to the general public at all, nevermind at this price…especially considering how much valuable experience and content I packed into this class. I also believe that once you experience this awesome class, you’ll come back for more training and possibly even upgrade the whole “Social Discover Me Master Class” program where you’ll get tons of strategies for you to take all your branding knowledge and put it to work (on social media and beyond). Q. How Long Will It Take To Get Access To My Class? A. Immediately. Your login and access information will be sent to the email address you provide, and it explains how you can access the class inside of our private members area. 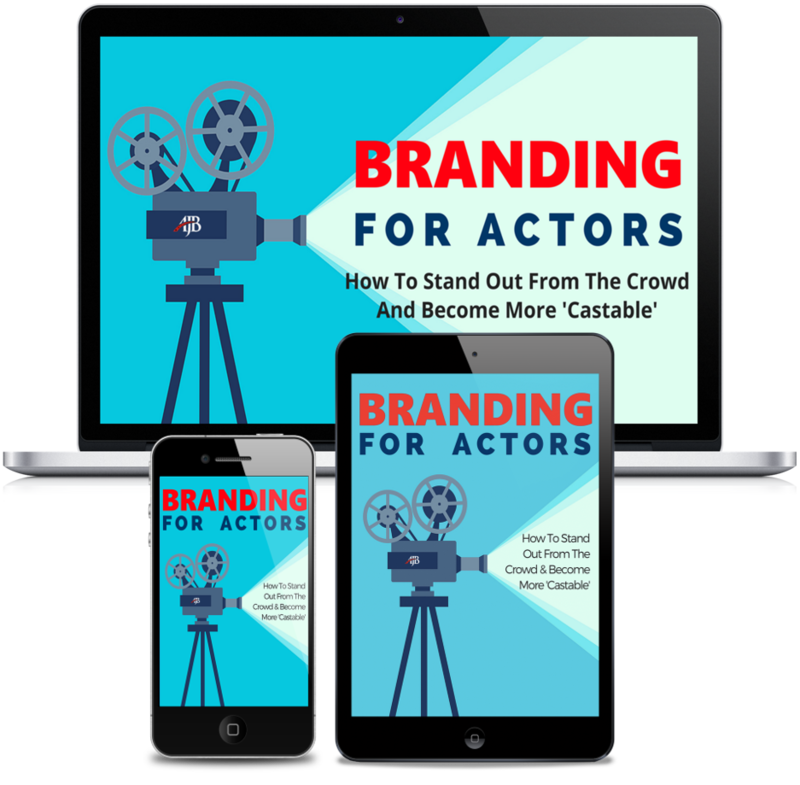 Hurry… Get “Branding For Actors” Now!! Order now and get: A jam-packed 2 hour video class plus bonuses and downloadable class resources so you can get started branding yourself now and get better results in your acting career... 24/7 access on any device 30-day money back guarantee ...all for just $127. Click the “Get Started Now” button now for INSTANT ACCESS! WARNING! If you don't get this now and go to another audition without this training and miss another opportunity, you will kick yourself. Don't risk the kick, just get it now!!! Amy Jo Berman (AJB) cannot and does not make any guarantees about your ability to get results with her ideas, information, tools, or strategies. What AJB does guarantee is your satisfaction with the training from this product or service. AJB provides a 30-day, 100% satisfaction guarantee, so if you are not happy for any reason with the quality of this training or product, just ask for your money back. You should also know that all live and recorded programs taught by AJB, under parent company Red Carpet Life, LLC, and live coaching sessions with AJB, are for instructional purposes only. They are not auditions or employment opportunities. AJB and employees of Red Carpet Life, LLC, do not participate in the casting, auditioning, employment, management, representation or audition procurement of any artists for any projects at any time, be they film, television, music, web-based or similar. Purchasing/participating in any programs or products or taking part in any class or coaching session is no guarantee of employment, future earnings or achieving results. Purchasing/participation in any program, class, coaching, seminar, consultation or similar instruction with AJB is not an opportunity to be cast, audition, be pre-screened for possible future auditions, be considered for employment or interview for a job or role. You alone are responsible and accountable for your decisions, actions and results in life, and by your registration here or your purchase of any AJB/Red Carpet Life, LLC, product or service, you agree not to attempt to hold us liable for your decisions, actions or results, at any time, under any circumstance. AJB and Red Carpet Life, LLC, maintain the highest standards and integrity in protecting the rights of actors and other artists. For more information, see the links below for our full terms, conditions, disclaimers and legal disclosures.